9/3/2001 - Molson's SnowJam at Lebretton flats. 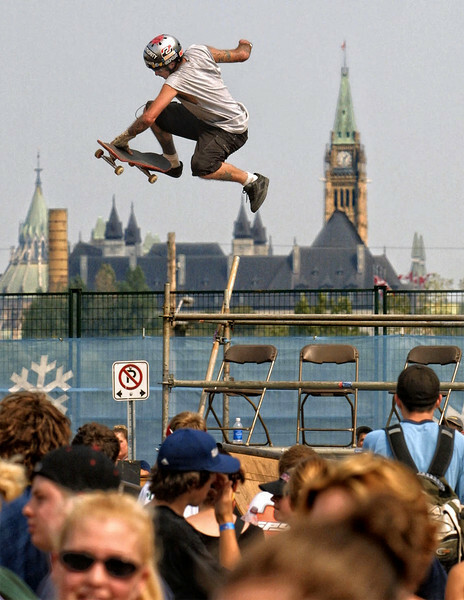 Mike Townsend of Montreal soars above the heads of the spectators on his skateboard. Photo by Patrick Doyle.